Welcome to VIP Cars in Santorini! 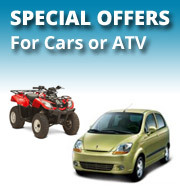 Are you vacationing in Santorini Greece and require a reliable and safe means of transport around the island? Contact the VIP Car Rental Agency in Oia Santorini, where you can choose the rental vehicle that best suits your needs and budget. 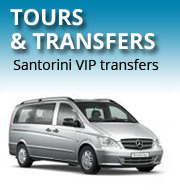 VIP Cars Santorini provides a very large selection of Santorini rent a car models, from compact and economy family cars, 4x4s and luxury cars to scooters, motorcycles, buggies, and quad bikes. 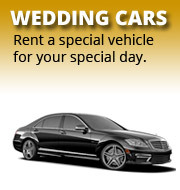 At VIP Cars Santorini, we make car rental in Santorini an easy and quick procedure. Booking your Santorini rent a car can be done in a few minutes online, by filling in the required information in our reservation form. Your vehicle for car hire can be delivered anywhere on the island, including your hotel, the port or Santorini airport, by requesting our Santorini Port or Santorini Airport car hire and moto rentals service. For travelers that are vacationing with their family and need a budget car hire in Santorini, we recommend large, economy car rentals or spacious minibus rentals. Couples can rent a compact car, a scooter or a motorcycle, for speedy touring around the island. Visitors who want a bit of extra style and comfort can select our luxury cars for rent in Santorini.. Adventurers may prefer a 4x4 (Jeep, SUV) that offers extra power and control. Travelers that are looking for something more unusual can choose from our fleet of Santorini atv quad bike and buggy rentals. Apart from quality Santorini car rental services, the VIP Cars Agency provides a wide array of other travel services, including excursions and tours, accommodation booking, ticketing, water sports rentals, wedding car hire, Santorini wedding planning, and more, making your holiday in Santorini Greece enjoyable and exciting. One of the most popular holiday spots in the world, Santorini is a vacation Mecca for tourists from both Greece and abroad. Who can resist endless beaches, deep blue waters, magnificent ancient sites, charming island villages, and breathtaking sunset views? In Santorini, your Greek Island holiday will become one of the most memorable experiences in your lifetime!